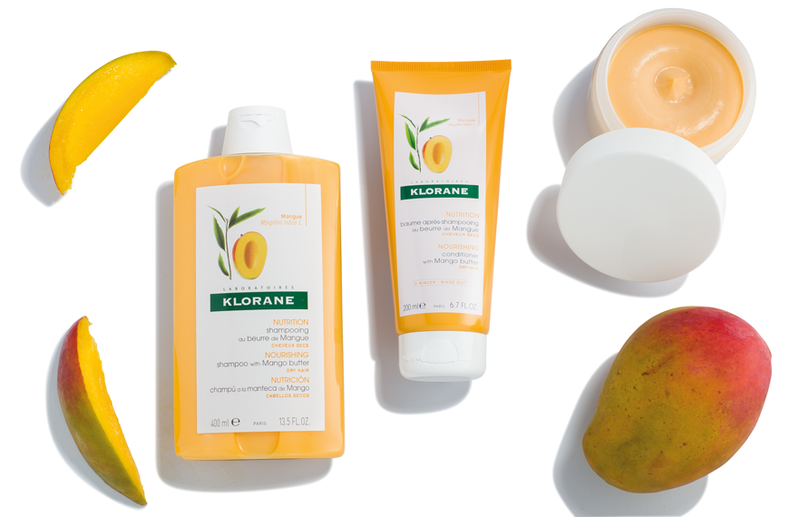 Klorane's mangos are harvested in India, by hand before they are fully ripe when active substances are at their peak concentration. Once the kernel has been removed from its protective shell, it is sun-dried, then cold-pressed to preserve the highly nutritious quality of the soft mango butter. The kernel of the mango is known for its high fatty acid content, scientifi cally shown to nourish and repair the coating of the hair. A moisture-rich shampoo that gently cleanses, nourishes and restores lasting hydration to dry..
A moisture-locking and protective leave-in that mends split-ends and seals in hydration. An intense moisture treatment that provides long-lasting nourishment and hydration to dry, de..
Use #mangoddess to be featured! We actively work to protect nature through the Klorane Botanical Foundation, our corporate foundation. Since 1994, the Klorane Botanical Foundation has been taking its commitment into the field with concrete efforts in three key concentrations: Protect, Explore and Educate. With every Klorane purchase, a portion of its sales goes to support activities of the Klorane Botanical Foundation.